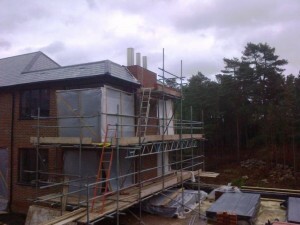 This is part one of a triple fireplace installation for a client just outside Guildford. 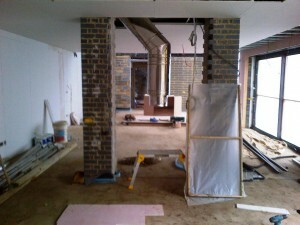 Due to the stage of the build, we had to install the flue systems before the fires go in. 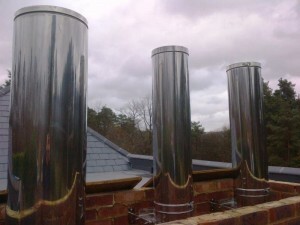 The chimney breasts are built but designed so that the space can take the three flues. The largest flue with a 300mm internal diameter is coming up from the basement. This had to be moved to the side to miss the ground floor fire which in turn had to move sideways to miss the fire floor flue. 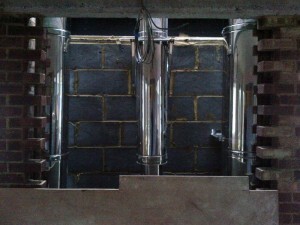 This was a complicated installation but with careful planning the flues were installed in two days.